It could be argued that grey is the truest neutral of them all. Halfway between stark opposites black and white, it literally occupies the middle ground between those chief two neutrals. Even the two ways to spell it (grey or gray) don’t make a difference; either one is acceptable as they both mean the same thing. It’s hard to get more neutral than that. On the other hand, it does lend itself to color casts more easily than those two. With black or white, if you get a slight cast of color, there’s either no change (black) or it’s no longer viewed as white. 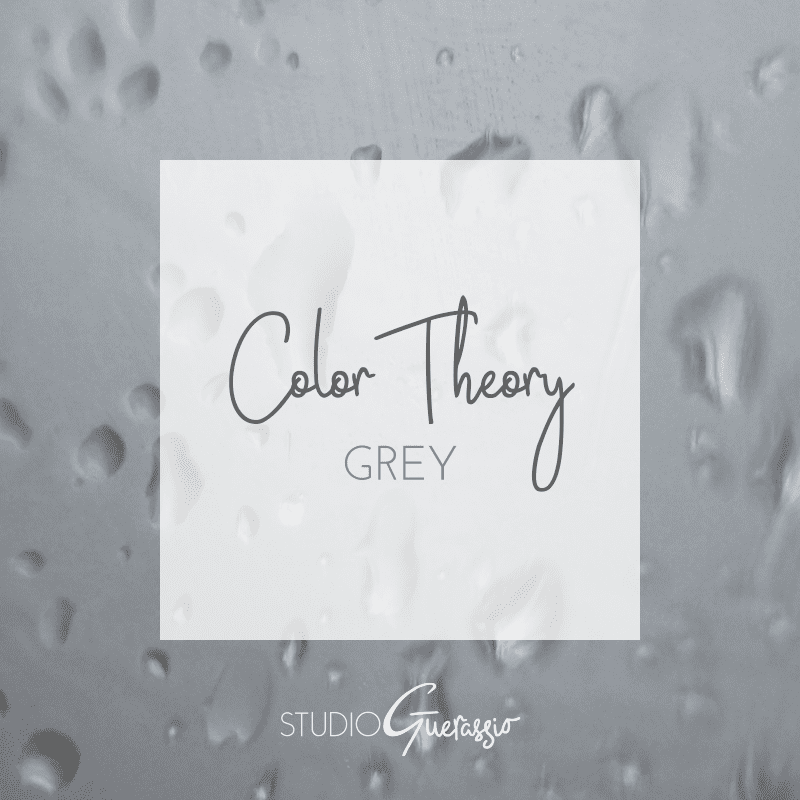 But grey shows warm tones and cold tones readily; even if the grey itself doesn’t have a color cast, when you put it next to a strong color, it will take on a cast from that. In fact, the human eye can distinguish about 500 shades of grey (that popular book was off by a factor of 10 ). Because the color gray neutralizes colors (making soft colors stronger and bright colors softer) it is one of the most common colors in many types of design. How often have you seen grey used as a background in a layout, or in a classic portrait, or as a color of paint on a wall? A shade of grey can be found to pair with any color and that adaptability makes it eminently useful and common, even if only 1% of the population considers it their favorite color. I have to agree with the quote up top. I’ve always appreciated grey’s quietness. It enhances a look without stealing the show, letting other colors take center stage. I usually find it calming, rather than depressing. Its versatility makes it a regular player in my designer toolbox, too. If you want to see some examples of the many ways grey can be paired and used, check out my neutral color board on Pinterest. What does grey make you think of? Do you find it calming or sad? Grey is by far one of my favourite colours. Warm grey in particular.